Not the best outfit post but WUTEVA. This is what I wore to my cousins 21st on saturday. Had a real good night. My cousin is like the luckiest when it comes to friends...there like non gimpy sorority sistahs. 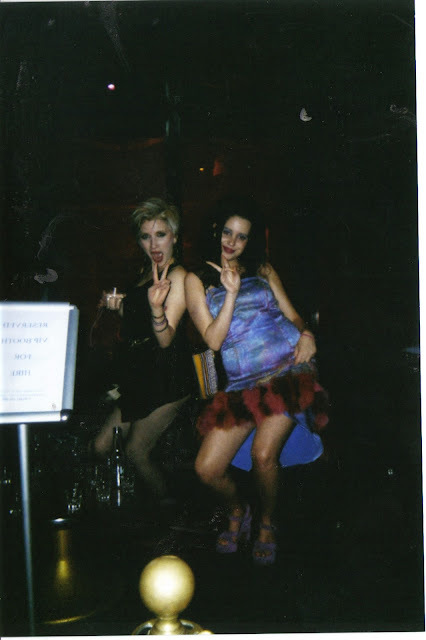 My outfit (on the right) was inspired by the 90s and Lil Kim of course,cos baby if your gonna party then you've gotta party like its 19-99.You can't reallly see my hair but I did this dreadlocky thing. Dinah (left) looked like a much hotter madonna and completely worked the desp. seeking susan look,shes promised me shes gonna get a blog so I can spy on her outfits.